(Bloomberg) -- Theresa May dined apart from the other European leaders on Wednesday night, as has become her standard treatment at recent summits. But it was France’s Emmanuel Macron who was left isolated. 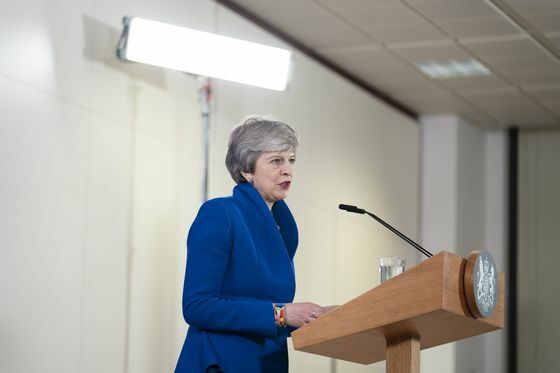 Most of the leaders were agreed that a long extension running for as much as a year would give May the time to work out how to win support for her exit deal. Macron insisted that would put the European Union at risk. By about 10:30 p.m. aides had all been shut out of the main council chamber in the Europa building in Brussels, leaving 27 EU leaders to thrash out the details of another extension to the Brexit process. 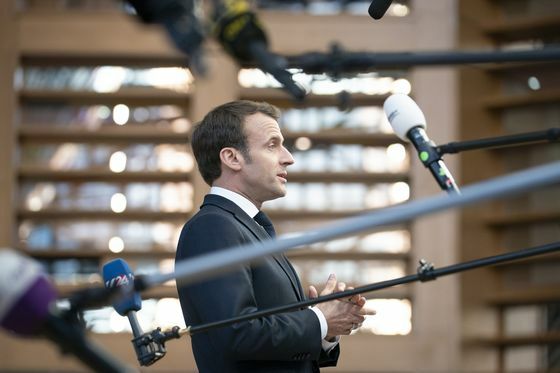 “Everything after June 30 makes the EU vulnerable,” Macron said, according to an official who was briefed by a leader in the room. As he spoke, he placed his hand on his heart. By that stage, May was at the British ambassador’s residence about a mile away in downtown Brussels, where she had roast lamb with her advisers. The British prime minister made a better impression on her fellow leaders than she has done on previous occasions. She updated them on her battle to win parliamentary backing for the withdrawal agreement she negotiated in November. All the same, two people briefed on the exchange said she was evasive when asked how cross-party talks at home were going. No one in the chamber had much conviction about what the result would be until Macron made his statement, said one official. There was a growing concern among the leaders that the French were prepared to risk a no-deal exit in order to force the issue. A disorderly Brexit isn’t the worst of all options, a French official told reporters as he briefed them on the debate. Other member states weren’t so sure. Inside the council chamber, Macron was struggling for support. Even Greece, a traditional ally who almost always sides with France in key decisions, took a different approach. 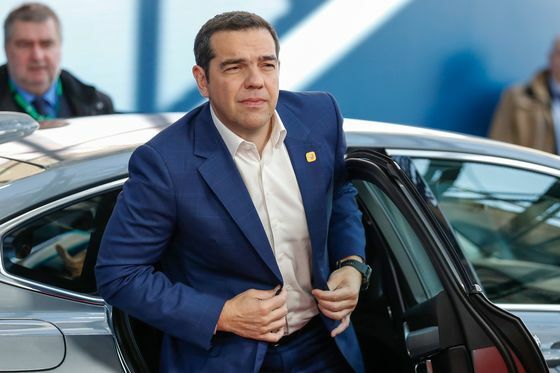 Prime Minister Alexis Tsipras argued that forcing the U.K. to participate in EU elections next month could puncture the momentum behind Brexit. “This will be the greatest defeat of Brexiteers, and maybe even the beginning of the end for Brexit,” Tsipras said, according to a transcript of his intervention shared by diplomats familiar with the matter. He then asked them to consider whether the EU should back this possibility. By the end of the first round of speeches, 17 leaders had endorsed a long extension to the end of this year and three more said they could accept it. Only France was holding out for a short-term delay until June at the latest, while others that shared its view were willing to compromise. Macron had entered the meeting calling on his colleagues to accept the British decision to leave the EU and move on. “I regret that choice, it’s not what I’d have argued for, but it doesn’t help us to challenge it, to go back over it, or to do everything to stop it being applied,” he told reporters as he went in. “We have a European renaissance to drive forward,” he added -- a reference to his campaign slogan for the EU elections in May. Macron also emphasized how the 27 remaining EU members had managed to maintain their unity through 34 months of negotiations. That unity would be sorely tested by the time the meeting broke up in the early hours of Thursday. Going into the talks, a consensus was emerging that May should be given at least until the end of the year to win her political battles in the U.K. But Macron refused to budge. He argued that allowing the U.K. to remain past the summer would be a distraction from the remaining member states’ plans to strengthen the EU. Macron himself has staked a lot of political capital on the European project and needs a win after months of protest at home. A long extension would also hand more leverage to the British government and given May’s parlous position, the EU could be dealing with Boris Johnson as prime minister by that point. Macron demanded protections to guard against mischief-making. Some of the conditions Macron was looking for were unreasonable, one European official said. The French had been pushing for reducing U.K. voting rights on EU decisions because of the plan to leave. His recalcitrance though angered the other leaders, according to three officials briefed on the talks. 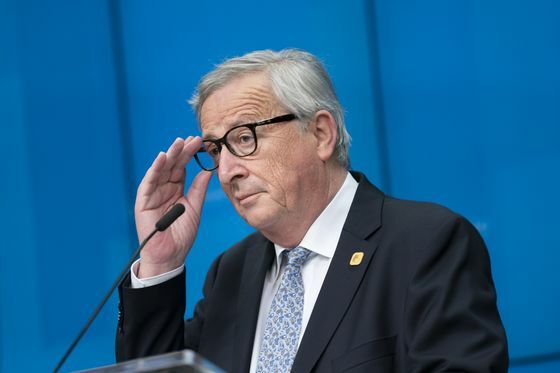 “We are solving your domestic problems at this point," EU Commission President Jean-Claude Juncker told Macron, according to one of the officials. The compromise that was ultimately reached, for an October cutoff, means the U.K. would leave before the next EU Commission takes office and limit London’s entanglement in the next phase of EU business. Macron claimed that as a win. But to get there he exposed the tensions between the 27 countries negotiating with Britain for the first time in the talks. All he got for it was a reduction of a few months in the deadline. And Britain could still get another extension after October.